Aligning with the barebones nature of 2015 album Darling Arithmetic and this year’s Where Have You Been All My Life? – a collection of stripped back interpretations of past Villagers material – live performances from the Irish indie folk band these days are, in contrast to when they first appeared on the scene six years ago, rather hushed, delicate affairs. It’s a muted approach that perhaps offers up the best platform to showcase the always lovely, precise vocals of songwriter Conor O’Brien; early evidence of the beautifully controlled agility of his voice appears in the “Anyone at all” coda to opener ‘Memoir’ and in its purring in synchronicity with the flugelhorn of ‘So Naïve’. 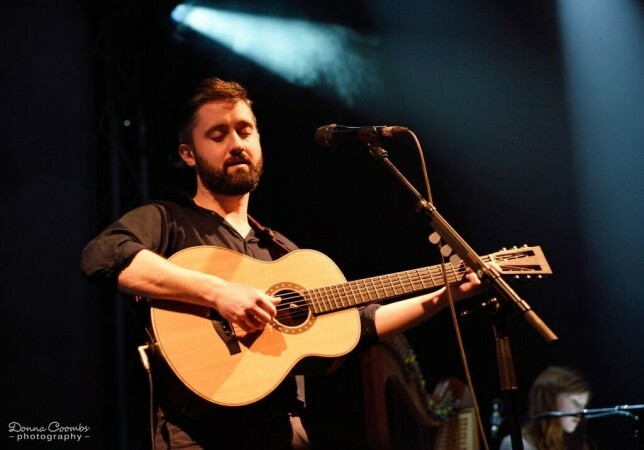 Now seemingly a mainstay of the live Villagers setup, the harp once again fits snuggly within the pared back arrangements, it providing a pretty counter melody to O’Brien’s fingerpicked guitar in ‘Dawning on Me’ and the beautiful poise of ‘Soul Serene’. While the sparse textures and sensitive delivery of Villagers’ shows have been a consistent formula for exquisite nights of live music, one occasionally wonders, within all the soul-bearing politeness, what would happen should they ratchet things up a gear. ‘The Pact (I’ll Be Your Fever)’ is no longer brisk indie folk but a keyboard led ballad that perhaps sounds a bit too grand and evangelical. 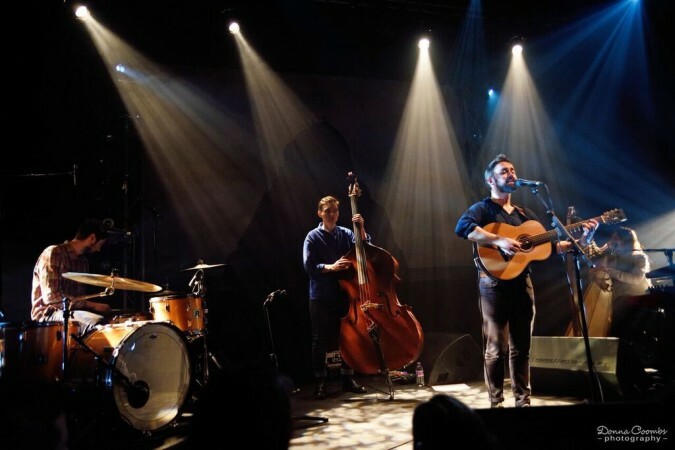 Something similar can be said for ‘Nothing Arrived’ – an attractively circling drum and double bass pattern aside – which seems to miss its skipping, piano-driven pop origins. The most encouraging signs – perhaps aided by the largely faithful replication of their recorded versions – arrive when the relatively new tracks of Darling Arithmetic seem to display the quality of nascent Villagers’ favourites; the lovely keyboard riff at the beginning of ‘Everything I Am Is Yours’ has acquired a pleasing familiarity while ‘Courage’( introduced by O’Brien as “the closest I’ll ever get to a Dolly Parton song”) appears, judging by the relieved reception when it finally makes an appearance during the encore, to have emerged as a new favourite. It has to be said that sonic rumblings do eventually stir from the predominantly calm seas of the evening’s performance. 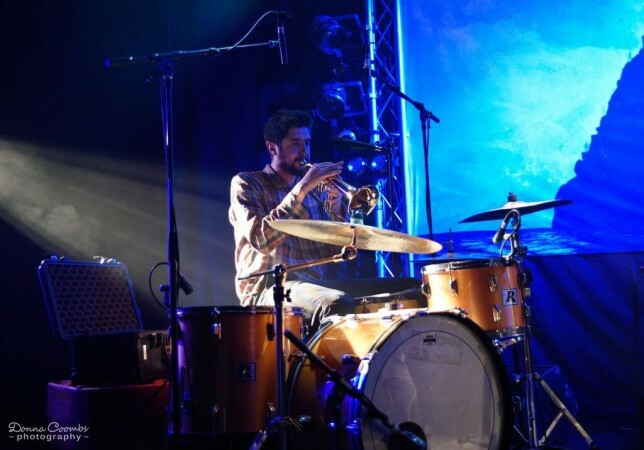 ‘Little Bigot’ sees drum sticks replace brushes and flares up into an angry instrumental coda while ‘The Waves’ is a voluminous affair that finishes in a four pronged attack of drums, double bass, guitar and swirling keyboards. It’s a change of pace that offers a welcome diversion after which the return to the tranquillity of the keyboard/harp duet of ‘No One To Blame’ can be better appreciated. O’Brien is more verbose in his audience relations than has been witnessed previously; he informs us that he thought a harp string to have broken following ‘I Saw The Dead’ before teasing his harpist/keyboard player that it “must’ve just been a wrong note”. He later reacts to a drunken trio of lads in the audience by suggesting that their chattering voices are causing “weird frequencies” from his guitar. Thus chastised, he notes their apparent departure a couple of songs later and playfully remarks “I feel bad now”. When, earlier in the night, O’Brien dedicated ‘Hot Scary Summer’ to “all the gays in the audience”, it had the feel of a consummation of the personal journey alluded to in Darling Arithmetic. With his “coming out” record firmly behind him, O’Brien’s strikes a figure of content, self-acceptance; it seems to suggest that a continued maturation of the personal and musical will see that O’Brien’s considerable talents will remain something to watch out for. Tagged bath, donna coombs photography, komedia, review, scott hammond, villagers. Bookmark the permalink.